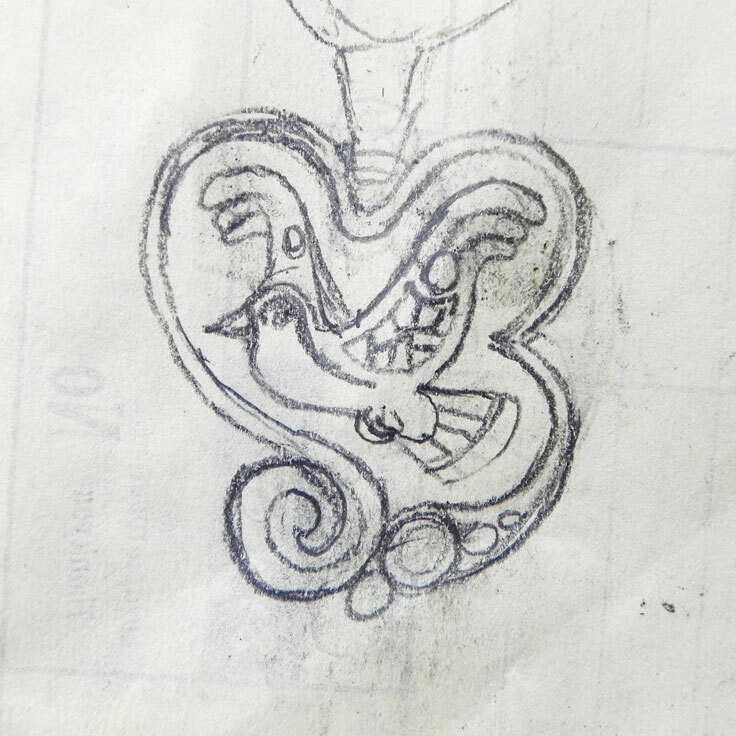 The drawing is transferred onto the sheet silver with a scribe or a knife and the fine lines are then punched in. This type of work requires good eyes and great precision, because the lines should be exact to within a tenth of a millimeter. Sheet gold (0,3-0,4mm thick) is put into the piece of jewelry. It is often necessary that the gold is level with the silver. 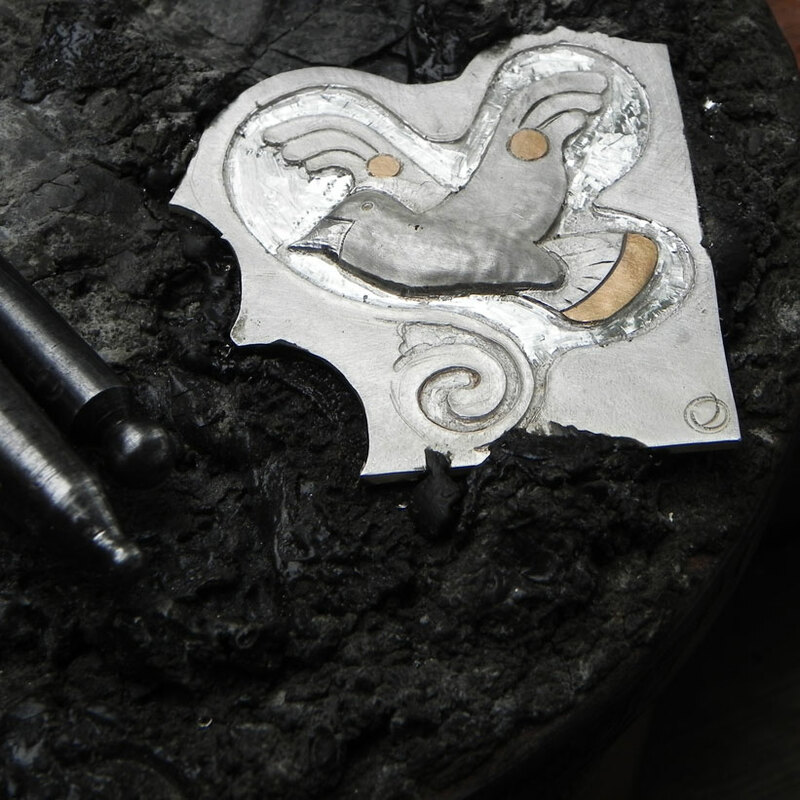 For this purpose grooves are put into the silver sheet with an engraver, into which the gold sheet can be brazed. Brazing temperatures are above 700°C, producing a join almost as stable as welding. 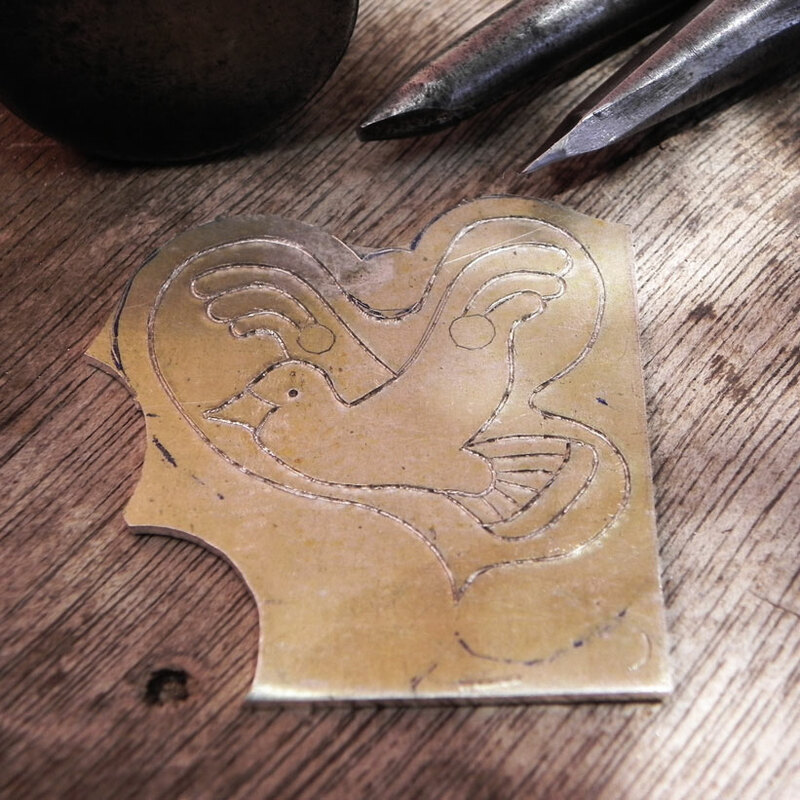 The background is being shaped on an anvil using special formed punches, giving depth and form to the piece. 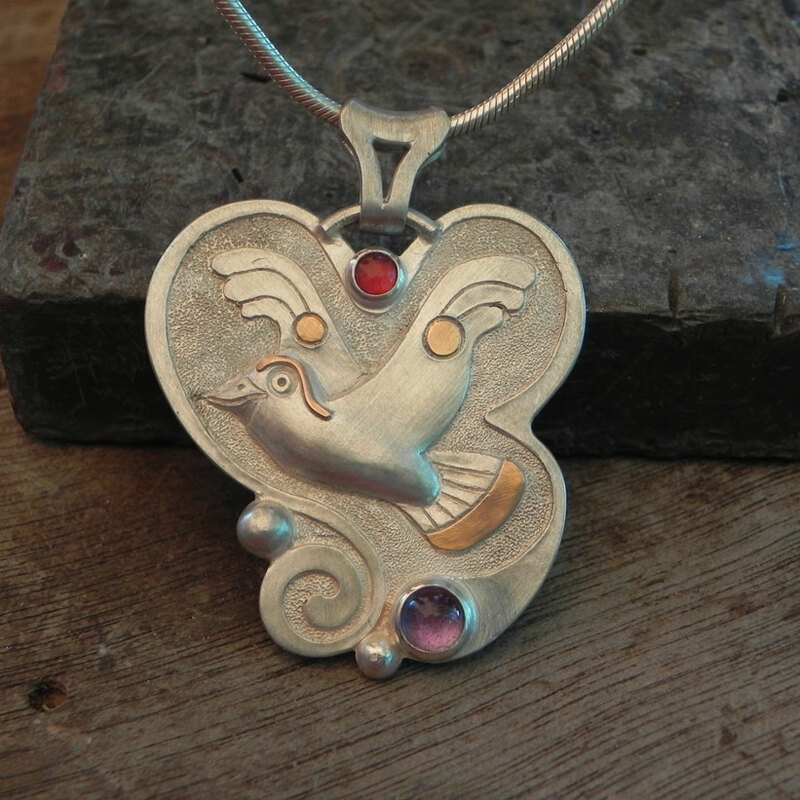 Because each change of shape hardens the silver and gold (a form of tempering/annealing), the piece must be brought to glow in between the work cycles, so it becomes soft and flexible again. Due to the shaping of the background a faint image behind to show from the back of the piece. Now it can be worked with rounded punches from the back, so that raised sections are produced. The treatment is either happening on wood, or a special chasing putty. The process needs about 2-4 work cycles before the desired height has been achieved and in between every work circle the outlines of the forms are also refreshed from the front. After finishing the chasing, further details are added (e.g. 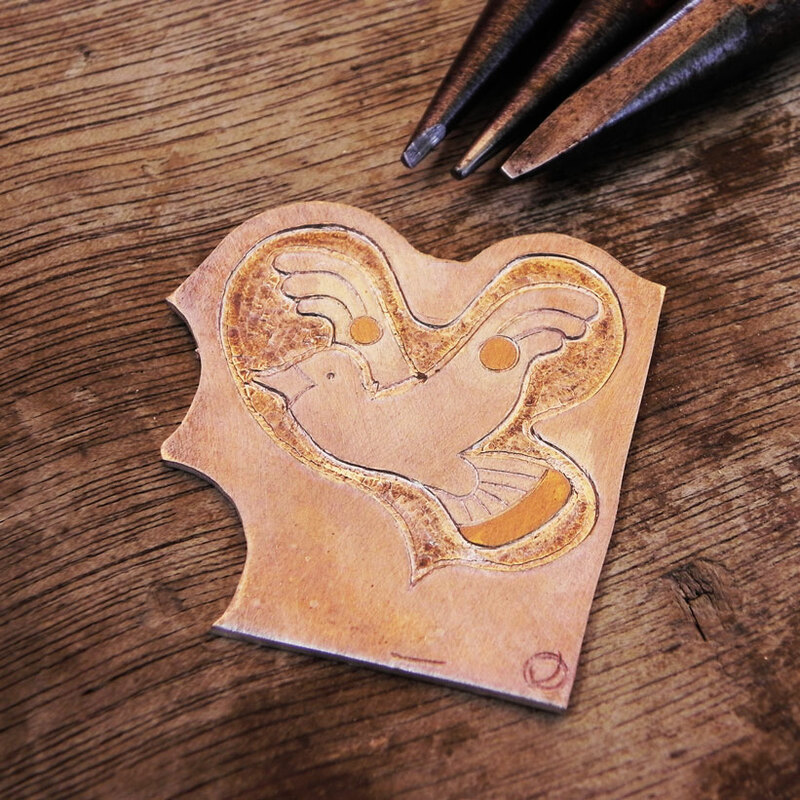 the eyes and the beak of the bird) by embossing, engraving or brazing. Then the piece is polished, smoothed and rounded with special files and sandpaper. Sometimes the lines are being redone with a scribe. This phase of the process requires a lot of skill, for example the brazing of the tiny supercilium has to be extremely precise. Finally the background will be structured with a prickpunch. This by itself is already several hundred fine strikes with the hammer. In the end the final shape is cut out, frames for the precious stones are brazed on and the loops/runners for the chain are added. 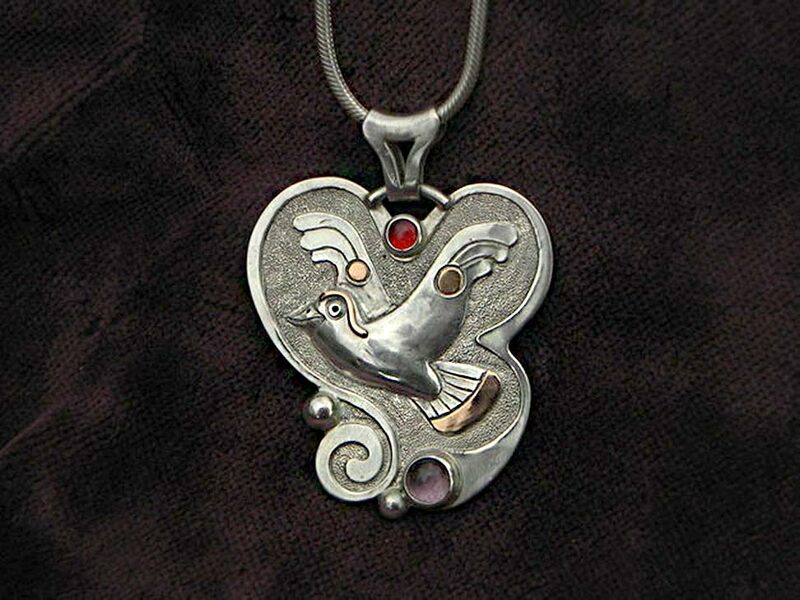 To make such a piece of jewelry there are, depending on the effort 16-25 hours necessary. 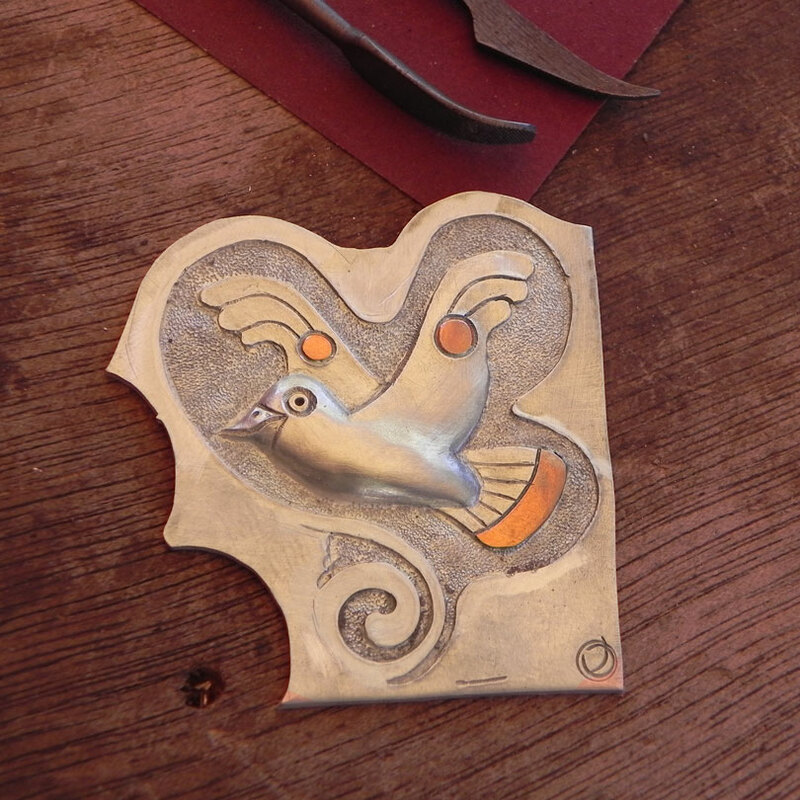 A piece of jewelry like this bird would pass every examination for a master's certificate. 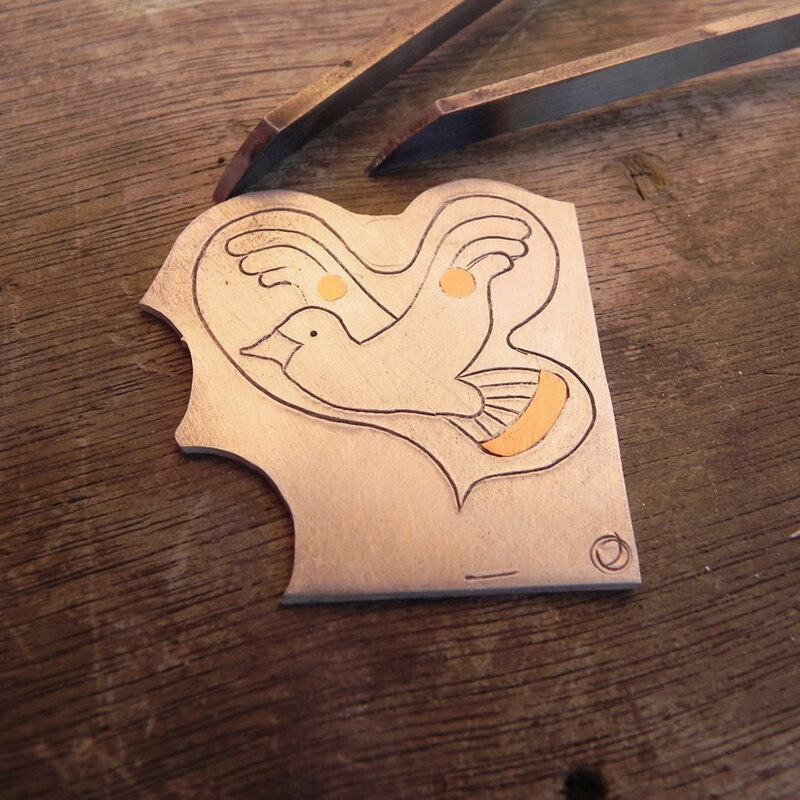 So I claim, that Joli- unique jewelry is not only unique in its way of creating but also in its production.